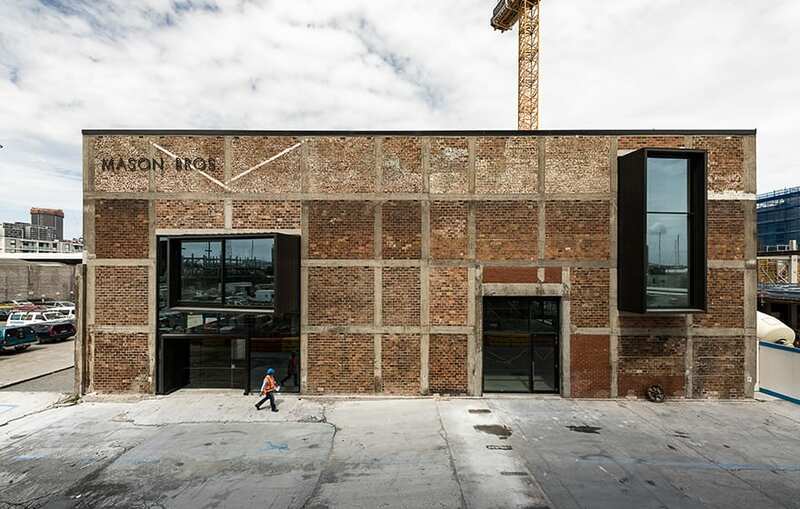 Precinct Properties has transformed the Mason Bros Building – a character warehouse in Wynyard Quarter on Auckland’s waterfront in New Zealand – into a highly efficient, innovative and functional commercial workspace, enabled by BIM. The project demonstrates how data for asset management can be captured digitally and delivered on site through mobile technology – a first for New Zealand and potential game changer for building projects in the country. It shows how BIM is integral to improving the quality and usefulness of the information that is delivered alongside a physical asset to inform its future operation and maintenance. Located on the edge of Waitemata Harbour in the Wynyard Quarter Innovation Precinct (WQIP), the Mason Bros Building is a commercial development delivering approximately 5,500 sq m of fluid workspace over three levels for multiple tenants. The project involved repurposing an historic warehouse facility used for the 2003 America’s Cup into a dynamic, commercial environment. In line with the future-focused WQIP, Precinct Properties was looking for an innovative redevelopment solution that would ensure that the Mason Bros Building was sustainable and responsive to changing needs. A particular driver was making the building highly efficient to run and using technology to create advancements in this area. Precinct Properties wanted a fully integrated asset information management (AIM) system to achieve greater accuracy in forecasting operating costs and capital expenditure. Consultant and project management company Beca supplied expertise in digital asset information management to make it happen. The Beca BIM team managed the digital capture of information about the building’s assets, trained the contractor and its supply chain how to input this data during construction, and provided a complete “digital handover” of asset information at the completion of the refurbishment to support the ongoing operation of the Mason Bros Commercial Precinct. Beca’s first step was to understand Precinct Properties’ key information requirements for future asset and facilities management and then set up the technology to capture and use that data. These requirements primarily focused on mechanical plant and equipment. The chosen solution was a suite of Autodesk software including BIM 360 Glue, BIM 360 Field and Building Ops, a cloud-based asset management database. This provided a link between information generated during the construction phase and the live asset management database. linking these to the appropriate assets in the BIM 360 Field environment. Beca created a central repository for all 3D models, data and documentation so the latest information on the project could be accessed by anyone, anywhere at any time. Digital dashboards quickly and clearly tracked the contracting team’s progress in uploading the required asset management data throughout the construction process. Beca used Tableau to develop the digital dashboards to give an up to date view of the percentage of data being captured in BIM 360 Field. This customised workflow management tool gave the project management team real visibility of the progress of completed asset information and handover deliverables, helping to ensure that 100% of critical digital information was there at project completion. Barcodes were placed on specific assets so they can be scanned with mobile devices to pull up specific information (within Building Ops) about the asset and its history, on demand. The cloud and mobile technology used by Beca to capture the data required for a digital handover had not been used in New Zealand in this way before. Beca had to resolve challenges with the flow of information between different software applications, becoming a trailblazer in the process. To make this new delivery method happen, many traditional processes had to change. Due to the contracting team not having used the cloud and mobile-based technology before, Beca led training workshops to share the client’s asset requirements and show them how to input data. They also had to identify the best place to create the data – some was produced outside of the 3D modelling process, but needed to be linked back into the 3D models for the final handover. This is a New Zealand first in mobile technology being used to capture essential asset information for ongoing asset management and operation. Electronic delivery of data helped drive a far better as-built handover to the client. Beca championed the implementation of this innovative asset management solution that provides Precinct Properties with detailed, up-to-date, reliable information on the building’s plant and equipment. All of the Mason Bros Building asset information is delivered on mobile devices. Precinct’s asset management and operations teams can instantly access all of the 3D models and view where the assets are in the building and the data and documents associated with them. “Significant value has been added through consultation with the client on their asset requirements, the selection and implementation of the right delivery method and technology, and training the contractor and their supply chain, culminating in delivery of all critical project data on the operational team’s mobile devices,” said Brett Naylor, group manager – digital delivery and technical fellow at Beca. 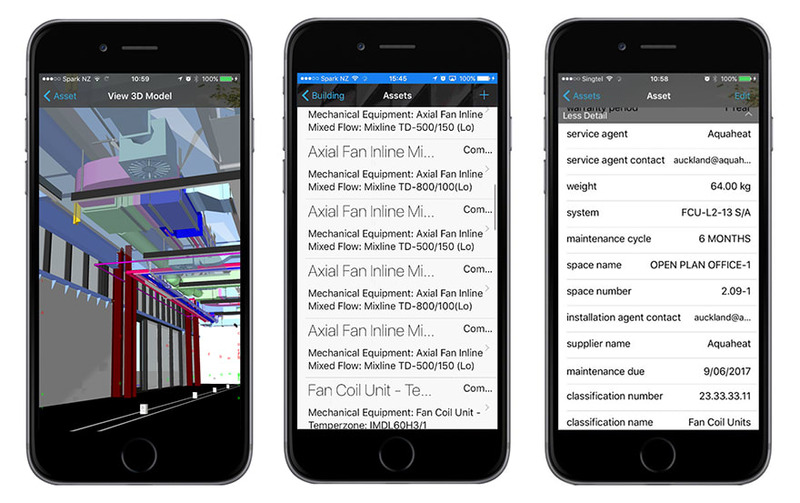 Ready access to building information via mobile devices means fewer site visits are necessary, reducing time and the associated cost and environmental impact of travel. Digital delivery of information has also negated the need to print documents, further reducing costs and the environmental footprint. The data Beca collected for Precinct Properties will not only help with the development of the Wynyard Quarter Innovation Precinct, it will also assist with their financial forecasting, identifying critical operational costs and when they are likely to occur. Certainty of future financial commitments will improve financial planning and strategic management of the building. The tangible cost savings for Precinct from using BIM for asset management are many, driven by access to information and the resulting time savings for consultancy. The further Precinct Properties develops BIM as a tool for energy management and other operational systems management, the more ongoing operational cost savings can be unlocked. “Many people talk about the benefits that BIM can deliver to a project in design and construction. Fewer talk about the benefits that BIM can bring to the asset management and operations stages where the most benefit can be achieved. Beca has been able to deliver something tangible that will provide real ongoing value to Precinct Properties’ asset management,” said Dave Luxton, development manager at Precinct Properties.